Ironing has always been a mysterious chore for the uninitiated — how did Mom do it so well?! Shirts and pants look best when they first come home and make their grand debut amongst friends and family. However, after that first wash, wrinkles and awkward creases become the norm and are seemingly impossible to get rid of. It would just be easier to buy new clothes, but that’s a silly waste of money. 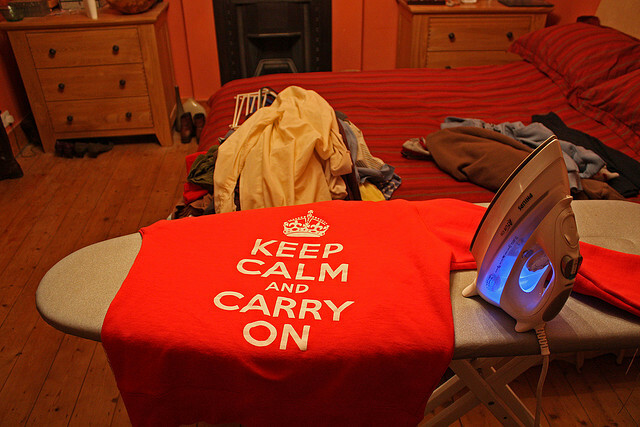 Instead, we have a few tips about ironing to make things a bit easier. Sort your clothes by ironing temperature from coolest to warmest. This information can be generally be found on inside tags. Utilize a pressing cloth when ironing sensitive fabrics. A 100% handkerchief, napkin, clean cloth or towel works well. When ironing pleats, start from the bottom and move outward. Use some steam to set the crease. Immediately fold and hang your clothes when you are finished ironing. Be conservative when using starch — too much will cause your clothes to wrinkle when worn and they may be uncomfortable. If you accidentally iron in a wrinkle, keep a spray bottle on hand to apply and re-iron. Keep your ironing board in good condition. If there are any problems with the board, it may transfer to your garments. Ironing can be one of the least enticing household chores, but following these simple guidelines will ensure that your ironing experience goes smoothly.